‘Playlist’ is a powerful feature on YouTube. Similar to music apps, YouTube allows you to add content to a playlist. But unlike your music app, there is more to a YouTube playlist than meets the eye. Below are some advantages of creating YouTube playlists. There are basically two types of playlists – series and regular. Of the two, series playlists play a more significant role in increasing views. The series playlist option allows you to mark a playlist as a set of videos that need to be watched sequentially. Since the videos are in series, viewers tend to binge-watch, increasing the number of views your videos get. It is important to remember that only people with verified YouTube accounts can create series playlists. A significant characteristic of a series playlist is that only videos uploaded by the creator can be added to it. A video in one series playlist cannot be used in another series playlist. As we have seen, creating playlists increase the number of views your videos get. Playlists can particularly help boost views of certain videos that weren’t performing well earlier. 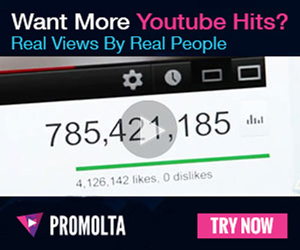 This is done by placing the most popular video at the very top, followed by not-so-popular ones inside the playlist. Since playlists contain relevant videos, people tend to spend more time watching them. This increases total ‘Watch Time’. Since Watch Time is the highest ranking criterion on YouTube, your videos end up being ranked highly. It is always good to create new playlists at regular intervals, say once a week or once a month. Based on the number of views your playlists get, you can determine what kind of videos your audience prefers. This helps you create better content, consequently increasing your followers. An added advantage of creating playlists is that they help viewers find videos without much hassle. As we can see, playlists are key components of YouTube. So make sure to take full advantage of them to increase your popularity.